Northgate Village Surgery was established in 1991 by Dr Ron McClure, Dr Liz McClure and Dr Swallow in premises on Northgate Avenue in Northgate Village, Chester. The Surgery first opened it's doors on 1st January 1991, and all it's staff have been proud to provide the highest standard of patient-centred healthcare ever since. On 24th April 2015, after many years of planning, Northgate Village Surgery left Northgate Avenue and moved to Chester city centre to the custom-built Fountains Health building. The Surgery is located on the 1st floor of the Fountains Health building. We share the building with our neighbouring practices; Northgate Medical Centre, Elms Medical Centre and Fountains Medical Practice. Each Surgery in the building has it's own unique colour which corresponds to a medicinal plant. The colour for Northgate Village Surgery is magenta, for the Foxglove.The magenta colour is represented all over the Surgery - from feature walls and chairs, to staff uniforms! A number of foxglove species including Digitalis Lanata and Digitalis Purpurea contain Digoxin, used for treating heart failure and irregular heart rhythms. Digoxin was first used medically in the 18th century. Dr Ron McClure worked singlehandedly as a GP in Chester from 1962 to 1985 until Dr Liz McClure joined him. They combined practices with Dr Swallow and built the original Northgate Village Surgery premises on Northgate Avenue in 1991. Many members of our Patient Participation Group were, or have family members who were, patients of Dr Ron’s. 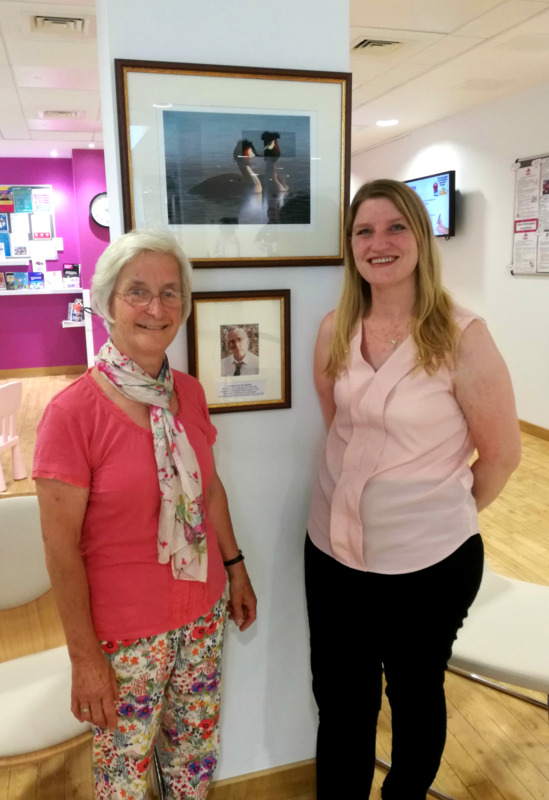 They decided to raise money to buy a plaque and picture in memory of Dr Ron who sadly passed away in 2016. 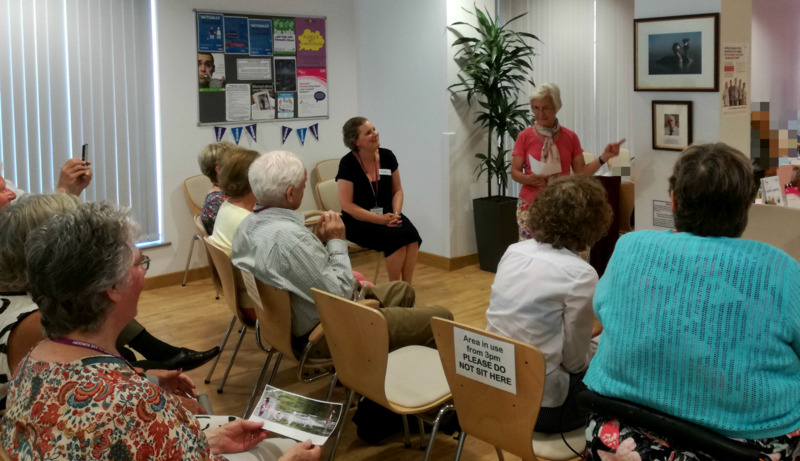 The memorial unveiling organised by our Patient Participation Group took place on 22nd July 2016 - Thank you for everyone who attended. Dr Ron was a member of RSPB, a charity working to secure a healthy environment for birds and all wildlife. Dr Liz said that the memorial picture of two birds above Dr Ron’s plaque symbolises them, because the birds look like they are in love.